Will always cost less . Polishes range from $2.00 to $6.00. Often better color payoff and more variety of color. Easier to find because the collections are not as sought and not as popular or in demand. Cost is more. 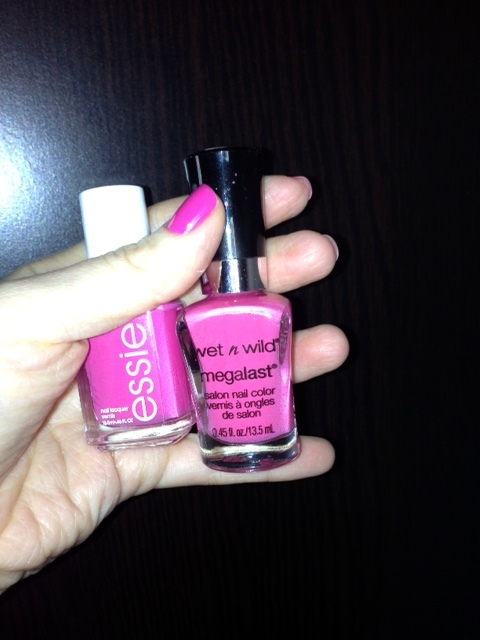 Essie and Opi usually sells for $8.00 before tax. Often the colors are repetive and not unique. Collections are harder to find, and often take longer to be in stock in local drugstores. Colors are rapidly discontinued, and inflated cost for discontinued polish. After years of trying both, I would only recomend salon nail polishes. They are just better quality, hardly ever chip and feel better on the nails. When a company charges you more for a product, its usually because they have a better formula and have a better product to sell, dont waste your money on brands that will leave your nails looking badly.